What a delight! 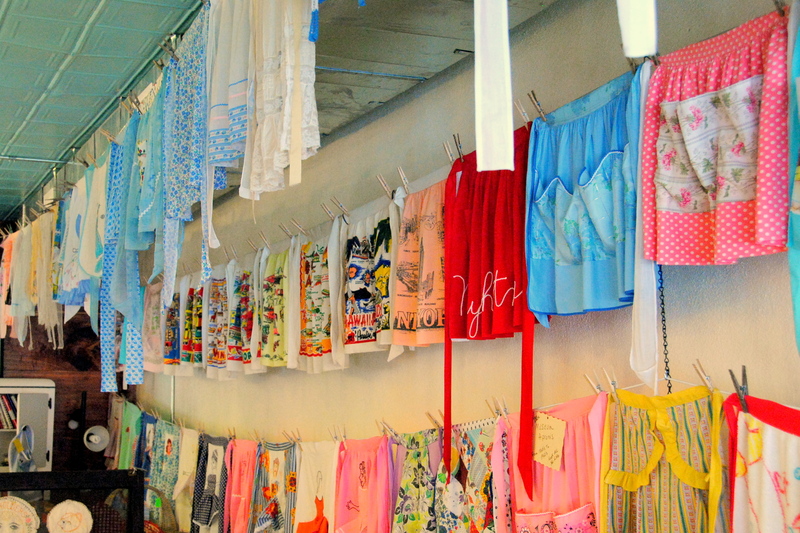 The Apron Museum in Iuka, Mississippi has antique aprons dating back to the Civil War. Fancy aprons and work aprons. It started because the owner read books that included characters who wear aprons and that caught her attention. Most of the collection features home-made pieces, which are special to the person’s interests. There are hundreds of aprons here, some on display, some crushed on racks. They’re funny and endearing. There are the ones that are too frilly for actual use—these were worn after the cooking was done but to show your man that you spent the day working. I prefer those that are love-worn, soft and weathered, stained and spattered; like life. Do you wear a funny apron? Do aprons play a part of your family history and memories? Maybe so, but always lovely.